This cake was perfect for a late evening reception. 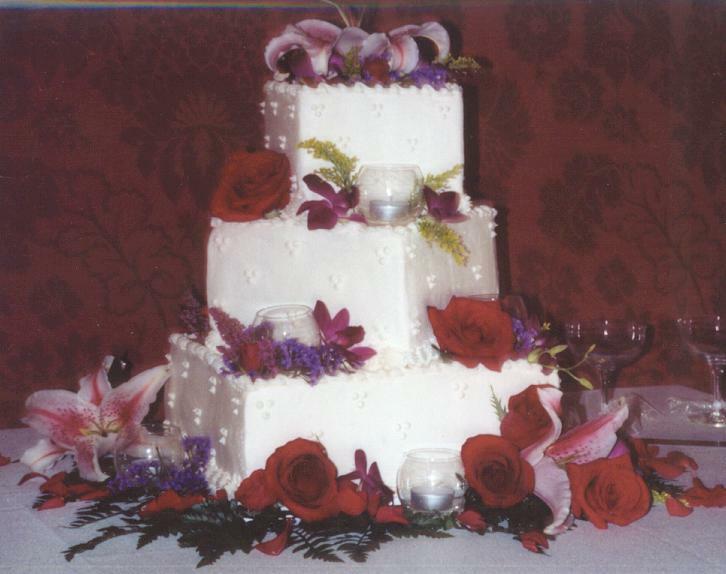 If you notice the corners hold votive candles, to be lit when the party began.A fun way to “light up” the cake. Fresh flowers, dots and a piped bead border completed the look. 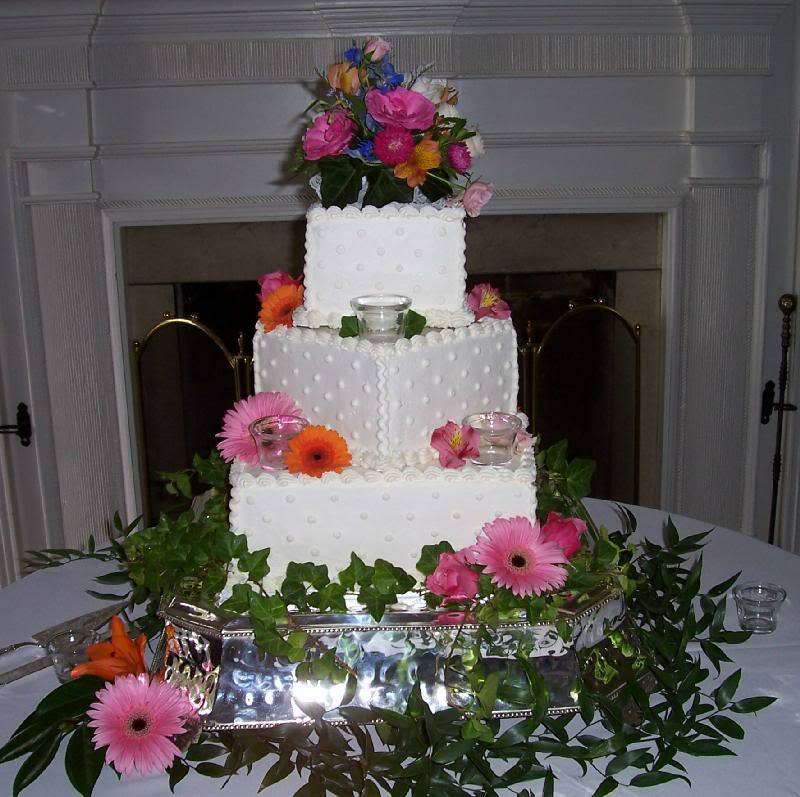 After seeing votive cake #1, this bride liked it so much she chose this look for her wedding but chose a swiss dot pattern and darker hued flowers.